Creativity and innovation are at the heart of what we do at Walt Disney Parks and Resorts, and even more importantly, so is cultivating the next generation of talent to carry on the Disney legacy. 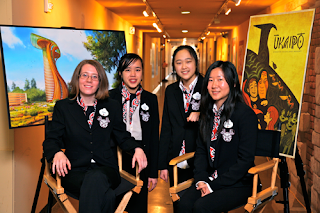 Earlier this month, students from Art Center College of Design in Pasadena, California, took first prize in Walt Disney Imagineering’s 22nd ImagiNations Design Competition. ImagiNations challenges college students from around the country to conceive and craft a proposal for a mock Disney theme park, attraction, hotel or other themed entertainment experience or product. The goal of the annual contest is to encourage participants to exhibit their creative and technical skills and ability to collaborate rather than produce plans for actual development. Contestants were asked to come up with a concept for a Disney-caliber experience in a city where Disney does not already have a presence. From 187 submissions, 20 finalists making up six teams arrived at Imagineering headquarters in Glendale on January 28. 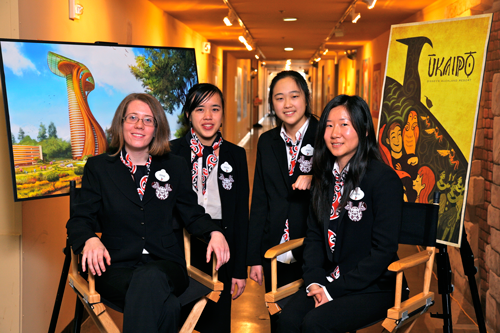 For a week they met with Imagineers, went behind the scenes at WDI, toured the Disneyland Resort and presented their concepts to a panel of Imagineering judges. The first-place team designed “Disney’s Ukaipo Resort,” a family getaway in New Zealand. The top three teams took home trophies and cash prizes. 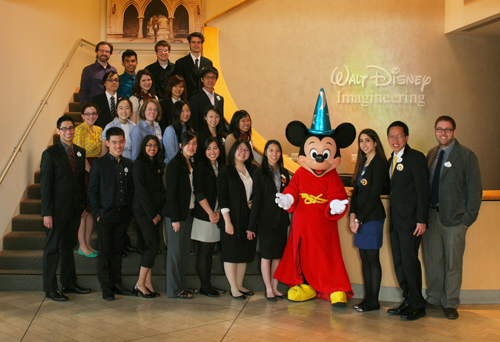 All 20 finalists had the opportunity to interview for paid Disney internships. In addition, a team of four students from Savannah College of Art and Design Hong Kong, which won the 2nd annual ImagiNations Hong Kong competition, joined the U.S. finalists for their week-long visit. Congratulations to the winning team and to all of our finalists!